Photo by the rik pics on Flickr and used here with Creative Commons license. 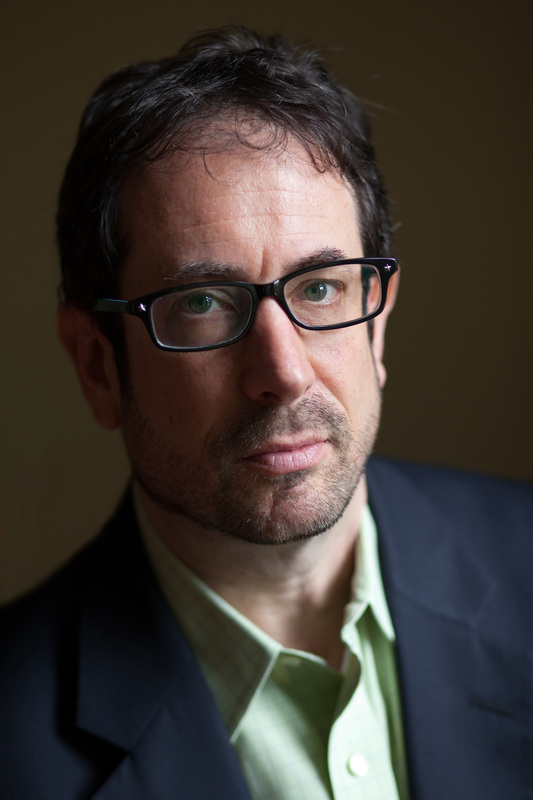 Alongside more traditional news beats, Northwestern University professor Josh Meyer is advocating for increased communication training in one specific topic: national security. In today’s interconnected world, Meyer argues that increased competence in national security issues is not only relevant, but necessary. It is this spirit that drives Meyer’s work with the National Security Journalism Initiative at the Medill School of Journalism. As the Initiative’s director of education and outreach, Meyer and his team are working to find the best ways to practice and teach national security journalism across all digital platforms. Its topics include covering terrorism, war, conflict, cybersecurity and homeland security, as well as emerging threats related to climate change and food, water and energy security. In addition to related coursework, the Initiative offers unique opportunities for graduate students to report on national security issues — in the field both domestically and abroad — through the National Security Reporting Project launched in 2010. EducationShift caught up with Meyer to learn more about national security journalism and why it’s important to journalism education. What inspired the initiative’s interest in national security reporting? Why is it important to expose students to this kind of journalism? Josh Meyer: There has long been an unmet need in terms of exposing journalists – those in the field and students in training – to best practices when it comes to the many security issues that dominate the news these days. War and conflict, defense and military issues, terrorism, cybersecurity, civil liberties and homeland security, to name a few. Polls and studies indicated that young people in particular were tuning out when it came to these important issues, in part due to the traditional, inverted pyramid style they were often presented. So we feel it’s not only important to expose students to these topics, but to equip them with the tools and knowledge needed to report on them innovatively, with accuracy and context, especially in such a rapidly changing media ecosystem. The Robert R. McCormick Foundation agreed and has funded the initiative since 2009. Improving coverage of these issues will help ensure that we have a well-informed and engaged public. The stakes couldn’t be higher; we’re talking about covering how and why wars get started, getting to the root causes of terrorism and extremism and understanding how a rapidly changing — and warming — planet are causing stresses and threats that undermine our collective security in ways even the most engaged experts can’t predict. Importantly, we try to teach students not just how to cover the news but how to uncover it, and how to get to the crux of key issues of critical importance so that the media isn’t asleep at the wheel like it was when the U.S. went to war in Iraq over faulty or politicized intelligence about Saddam’s weapons of mass destruction program and links to al-Qaeda. It’s also important to expose students to this kind of journalism because it recently has become a growth area for journalism jobs. At a time when other beats are being diminished or eliminated, media organizations are staffing up on these topics, especially in the digital realm. What are some challenges of reporting on high profile issues like national security? JM: One challenge is that so much of the information is highly classified, often over-classified, to the point where virtually nothing is available. Another is that these topics are extremely complex, and there’s often five sides to a story, not two. And third, the agencies that really need coverage such as the intelligence community and the departments of Defense, Justice, State and Homeland Security, usually don’t want to cooperate. That’s especially the case on stories that might prove embarrassing or in which they allege, usually unjustifiably, that public disclosure of information will undermine national security by exposing sources and methods. For all of these reasons, you need good sources. That’s the case everywhere in journalism but especially so in national security matters because there’s rarely a paper trail. But sources are hard to get, especially within these ultra-secretive bureaucracies, and it takes a lot of time and diligence to develop them – especially with so many leak investigations going on. Most media organizations, unfortunately, can’t or won’t expend the time or energy to develop sources. One of the toughest things is trying to uncover information that people don’t want you to write about without making mistakes. That’s especially the case when you are on deadline or rushing to beat the competition or trying to boil down extremely complicated, often arcane and rapidly changing stories to fit an ever-shrinking news hole. It is also hard to use some of the traditional digital first, multimedia tools on these topics given the nature of the subject matter and the reluctance of most people to talk on the record. 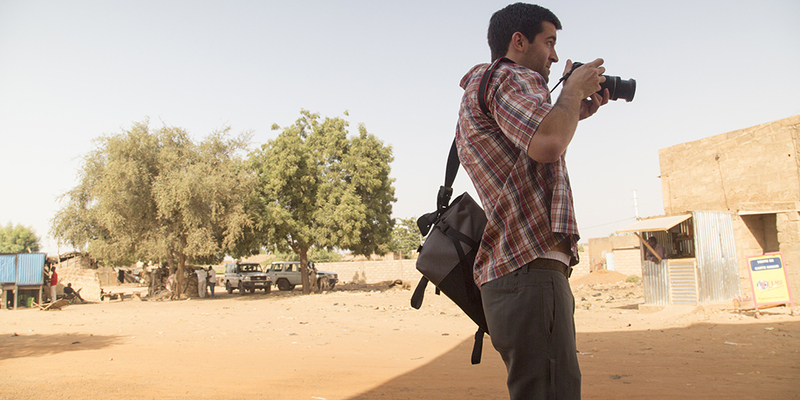 Student records footage in Burkina Faso. Photo courtesy of Josh Meyer. Why does the National Security Journalism Initiative project embrace a digital-first focus? What does that focus look like in practice? JM: Our digital-first focus is one of the main reasons I left Los Angeles Times to help build this initiative. As a 20-year newspaper veteran, I felt like the entire media landscape was changing so rapidly and in some cases, convulsively, that a digital first mindset should be a baseline teaching requirement going forward. Back in 2010, many media organizations still weren’t adapting. But our mantra has always been that we are trying to find the best ways to do, as well as to teach, reporting and storytelling about these issues in innovative and effective ways and across all digital platforms. One thing I’m especially proud of is how we use our annual National Security Reporting Project to identify, incubate and road test cutting-edge digital first tools in a real-world setting. Each fall, eight to 10 graduate students get scholarships to work with me and a few working journalists I hire as adjuncts on a three-month project for a professional media outlet. From the outset, each topic is conceived as a cohesive package of web-based text, video, photos, interactives and other media and we go from there. Our first project, “Global Warning” for The Washington Post in 2010, was on how the U.S. government wasn’t preparing for the national security threats posed by climate change. We built a few really cool interactives including one showing the myriad connections between various climate-related threats and a “war game” allowing readers to role play how they would respond to disasters. In won a national ONA award. Two years ago, for our “Hunger Pains” project on global food aid for USA Today, we built several interesting interactives, including one showing why it takes seven months for the U.S. to ship aid to those suffering from malnutrition in Africa. We’ve also reported on how politics affect U.S. energy security and the deadly legacy of unexploded U.S. landmines and cluster munitions around the world for GlobalPost and the challenges faced by more than 1 million U.S. National Guard and Reserve members upon return home from combat. We’re now investigating how the U.S. is wholly unprepared for the next Ebola virus or other pandemic for Vice News. What skills are students getting through these projects that may not be easily or traditionally taught in a classroom? JM: This is always my favorite question, as I have become something of an evangelist for the so-called teaching hospital method of journalism. I believe these projects, hands down, are the best way to train and equip students for the real world. They are learning on the job, taking international reporting trips and doing reporting, data analysis and storytelling at a professional level. Our media partners wouldn’t publish it otherwise. And they are doing it with the actual pressures, frustrations and, ultimately, sense of accomplishment that comes with really nailing a good story and getting it out to a global audience in ways that engage the public and policy makers. It’s the difference between showing someone on a chalkboard how to swim versus having them jump into the deep end of the pool and actually do it on their own. Of course, just as you wouldn’t stand by and watch someone drown in the pool, a key component of these projects – which is often missing from internships and first jobs – is the scaffolding and support network we provide. 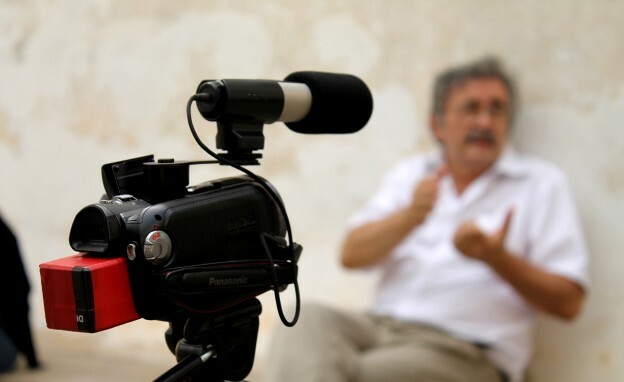 This is hands-on training in an intensive atmosphere, where the students spend their days — and some nights — learning from, and working under the direction of, some of the best working journalists in the world who serve as adjuncts on these projects. They are our secret weapon, and I hope my 30 years of experience as a journalist helps as well. I’d also say that whatever training we provide, the students probably learn the most by spending two weeks out reporting in some far-flung locale, usually in pairs. They’ve reported from a Syrian refugee camp, Jordan, a Persian Gulf naval exercise, a Mozambique minefield, war-torn Ukraine, the Arctic Circle and malnourished villages and armed convoys in Burkina Faso, Africa. 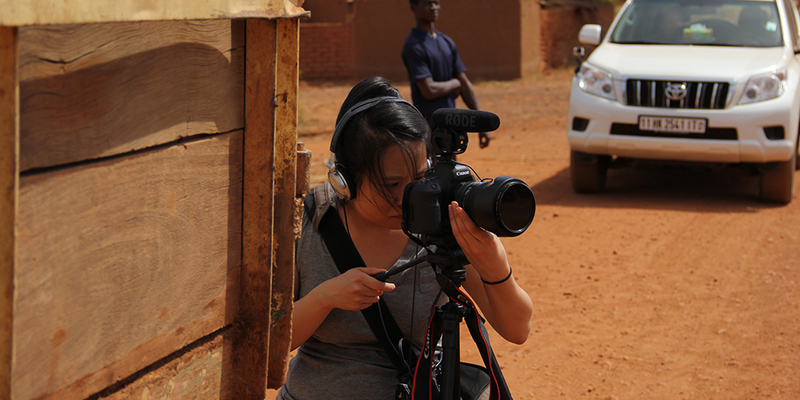 Click these links to see their stories from Bangladesh, Cambodia, Ecuador, Peru, the Philippines and from 20 or so states in the U.S., including, Wisconsin, Fort Bragg and Capitol Hill and elsewhere in Washington, D.C.
Student shoots street scenes outside Kaya, Burkina Faso. Photo courtesy of Josh Meyer. How do students prepare before travel or conducting field work? JM: We work with them very intensively in terms of preparing them for all aspects of their trips, and the students love it. Many say it’s one of the most helpful and unique aspects of their entire Medill experience. We not only get them out into the field — often, WAY out into the field — but we show them how to do it the right way in terms of staying safe but also having fun and, importantly, bringing home the story they set out to get. As I’ve learned the hard way, doing field reporting is exceptionally difficult, especially if you haven’t done it before. There is both an art and science to it, and we work closely with them on both. That includes nuts and bolts stuff like how to find their stories, set up interviews and hire fixers to what kind of shots and visas they need, what to pack and whether they should consult the host government about what they are doing or fly under the radar. When they’re going to conflict zones, our prep work increases exponentially. Before sending two students to Iraqi Kurdistan last fall, we drafted a 17-page safety and emergency response plan for them that included access to a professional security team if needed. When a car bomb went off in a market near them, killing 17 people, they knew exactly what to do – and got their stories. We are also on standby 24/7 when they are in the field, helping them with everything from finding a new fixer or interview subject to how to get along with each other, how to be open to unexpected stories and how to make sure they enjoy the experience. How do you see these projects evolving into the future? JM: We hope to always stay forward-looking and in the vanguard of reporting on these issues. I stay in close contact with my professional journalist friends and their near universal lament is that they are so busy cranking out their next story that they can’t look to the future to see where things are headed, both in terms of story topics and the emerging tools and technologies available to do them. Our projects are already focusing more and more on these forward-facing threats. But I’m also looking extensively at how to do security-related journalism across all digital platforms that harnesses reporting tools such as satellite imagery, drones and sensors, as well as crowd-sourced watchdog journalism that is now possible via social media, smartphones and other technological breakthroughs. Ban.jo, for instance, is just one of many game-changers we’re looking at using. On a broader note, I’d like to see these projects evolve in terms of having numerous professional media partners, and hopefully having paid fellowships so that the students can continue to work on their topics, hopefully leading to great jobs. What advice do you have for educators who may be interested in incorporating national security reporting material into their curriculum? JM: I highly encourage educators to incorporate national security reporting material into their curricula, especially to show how deeply and broadly these topics are woven into the fabric of our broader society in ways that most people don’t understand or appreciate. I teach a class called “Covering Conflicts, Terrorism and National Security,” and in the intro, I usually hold up a newspaper and show how almost every story in it has a national or global security angle, whether it’s political, foreign-policy, economic, scientific or what have you. Some of the important lessons can and should be applied more broadly, including how to build sources, how to not only cover but uncover the news, and how to question Government officials and their plans and assumptions. I think it’s valuable to bring in a lot of security officials to hear from them as to how journalists can best cover these topics. On the specifics, there are a lot of great resources out there for educators and I would be remiss if I didn’t start with our own website, National Security Zone. It provides a ton of material for journalists and educators about how to make these topics more accessible and understandable. We also have a link to other resources, including Military Reporters and Editors, with which we have an affiliation.